Vista Host Inc. | Vendor/Partners - Vista Host Inc.
Vista Host prides itself on its ability to locate, select, and partner with the most dedicated hospitality vendors in the industry. We have negotiated national agreements with many of the vendors named below and can recommend them for your hospitality management business. Please help them make our industry even better by giving them your business. We have made every effort to list all of our nationwide partners on this page. If we have neglected to include your company please let us know. Achilles Group The company is a human resources firm that becomes the HR Department for small and mid-sized businesses. Typical clients include entrepreneurs looking for an alternative to doing HR themselves, companies outgrowing their current HR capabilities or companies looking for alternatives to staff leasing. Contact Dan Calvert. ADP National Account Services designs advanced, flexible solutions, to match the needs of large employers and meet the challenges of a changing environment. When you outsource with ADP, you gain access to the knowledge base of a proven leader Payroll Processing. ADP™s solution-oriented approach lets you concentrate on your core strategic initiatives. American Hotel Register Company offers the worlds largest selection of hospitality products and services. They’ve been meeting the needs of the hotel industry for more than 140 years, since their founding in 1865. Contact Bonnie Glick at ext 81528 or e-mail her at bglick@americanhotel.com. Reliable, Dedicated, High-Speed Internet Connections for Your Business AT&T Managed Internet Service provides managed, state-of-the-art hardware and software, smart routing capability, and continuous performance monitoring of your IP services on our world-class backbone. Discounts on voice and data equipment, VOIP plans, and local servieves are also available. Contact Michael Merfeld by phone at or e-mail at merfeld@att.com. Broadvine is a team of technology and hospitality experts with a mission to deliver hotel business insights in an easy-to-use, web based environment. Their applications eliminate the time and expense associated with organizing data from multiple properties, enabling companies to analyze the resulting data and improve the profitability and operations of their properties. Clayton Kendall is a promotional marketing firm that provides unique products to stimulate sales and build brand recognition. We provide embroidery, screen-printing and graphic design services, as well as packaging and fulfillment, enabling us to control quality and provide quick turn-around on rush orders. Contact Clayton Kendall at or email info@claytonkendall.com. ACL™s management team has over 75 years of experience in the lodging and restaurant industries, which immediately sets us above other generalist (everything or does-it-all) mystery shopping companies. Our entire focus is on hospitality; our single goal is to support you in your quest to achieve the very highest customer satisfaction levels possible because that leads directly to long-term growth and profitability. Contact Chuck Paul. The revolutionary CV1 In-Room Coffee System is featured in our catalog. This patent pending product provides your guests with a great cup of coffee and reduces housekeeping labor associated with in-room coffee by up to 90%. The CV1â„¢ One Cup Coffeemaker uses a disposable brew basket and there is no glass carafe to clean or break. Courtesy also is a leading supplier of irons, boards, covers, hangers, hairdryers and other in room amenities. Contact Chuck Link at x5133. FedEx Express is the worlds largest express transportation shipping company, providing fast and reliable delivery to every U.S. address and to more than 220 countries and territories. FedEx Express uses a global air-and-ground network to speed delivery of time-sensitive shipments, usually in one to two business days with the delivery time guaranteed. Contact FedEx. 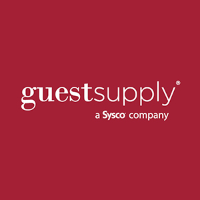 Guest Supply, Inc., a Sysco Company, is the leading national full-service provider of housekeeping supplies to the lodging industry. Guest sells a full range of products, including personal care amenities, room accessories, housekeeping supplies, paper products and textiles to over 20,000 hotels. Contact Tom Schlageter at x609. 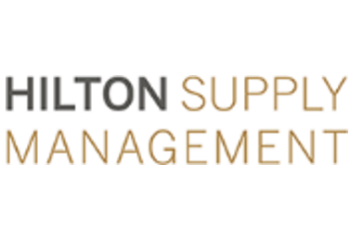 Hilton Supply Management offers the global hospitality industry unique purchasing solutions and an operational mindset that come from this rich heritage in hospitality. Service and focused industry expertise is at the core of everything they do; they are the end-to-end global supply chain solution. Contact Vicki Hamilton. Hotel Effectiveness helps manage labor costs and increases profitability with real-time labor monitoring, scheduling, time & attendance, and more. It enables you to monitor and analyze labor usage to identify cost saving opportunities and establish ideal labor practices using hotel specific labor plans. Hotel SalesPro has been offering hospitality industry sales software since 1996. Currently we have over 1200 hotels, with over 5000 users at a range of full service and limited feature properties. Hotel SalesPro is being selected as the standard by the Hospitality Industry’s top sales and marketing professionals. Contact Chip Carroll. Lincoln Waste Solutions is a true partner in waste management. Their mission is to enable your organization to achieve its goals and vision in waste management by working with clients, vendors and our employees; together they operate as one to achieve higher levels of waste efficiency and money savings. Their commitment to customer service, integrity and accountability represent the core values Lincoln Waste Solutions believes are important in our success. Contact Debbie Stalley. Resource Technology Management, providing websites and hotel internet marketing, telecommunications consulting and high-speed Internet technical support services, has an unparalleled reputation for delivering results. Providing cost saving technology solutions, Resource partners with some of the countries top hotel management companies, government municipalities and general businesses. Contact Steve Powell via email / (407) 998-8000 or RTM-Inc.com. It’s all about the little things that add up to higher occupancy and repeat customers, which is why excellent coffee service is no small matter. We blend, roast and package a wide selection of coffees to meet the different needs of your lodging operation. From lobby/concierge to fine dining, nothing says Hospitality  like S&D’s fine coffees, teas and juices. Contact Jim Rupp. 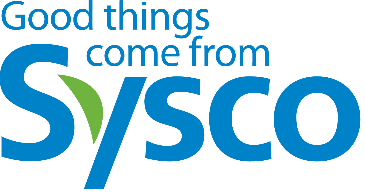 SYSCO, North America’s leading foodservice marketer and distributor is dedicated to helping our customer succeed. SYSCO’s foundation is that of an entrepreneurial culture that fosters the autonomy of each and every one of our operating entities across the United States and Canada. Contact Debbie Martin. Schindler is one of the leading global manufacturers of elevators, escalators and moving walks. The company manufactures, installs, maintains and modernizes mobility solutions for almost every type of building requirement worldwide. The company specializes in latest-technology engineering, as well as mechanical and micro-technology products designed and rigorously tested for comfort, efficiency and reliability. Hospitality Contract Services offers design and purchasing of quality hotel products by providing impeccable customer service and attention to details. The company is dedicated solely to the design and refurbishing needs to the hotel industry and provide you with a total package of design, project management and purchasing services as well as a team of highly qualified specialists. Their extensive knowledge of the industry, purchasing efficiencies, low overhead and experience allow them to provide personal service and sharp pricing on a wide range of products. Contact Skip Bolton via email at skip@hcsmemphis.com. 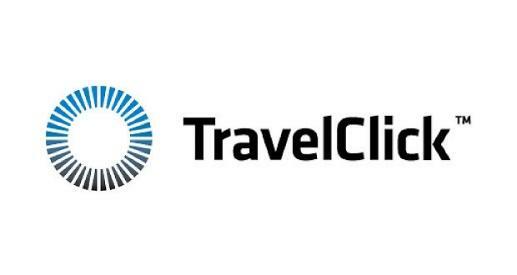 TravelCLICK gives you the right combination of intelligence and technology to drive long-term profitability across your entire operation from reservations and distribution to market analysis marketing. All with one goal top performance. Our suite of business process management (BPM) solutions provides hotels with the right tools to drive success in the world of electronic distribution and marketing. Contact Brad Rahinksy. Now you can deliver maximum service levels and better manage costs with UniFocus Watson, R.M. (TM) labor and financial management applications. These Web-based tools provide you with the right information and analytical intelligence you need to be highly competitive. UniFocus uniquely offers its business partners proven solutions that are assured to positively impact profitability. Contact UniFocus Sales Group. Uniguest provides the most cost-effective way for businesses to provide public computers and kiosks while maintaining security standards. Uniguest’s SecuredAdvantage kiosk software secures and powers thousands of public computers found in hotels, apartments, and long-term care facilities. Hoteliers have relied on Uniguest to secure and support hotel business centers, LobbyPC, and boarding pass printing stations since 2002. Contact Uniguest at www.uniguest.com. Yorktown Industries provides “Best of Breed” service which includes the highest quality imaging products, most competitive pricing, along with skilled industry experts to offer complete solutions made simple. We carry all leading brands of ink and toner along with office products, break-room supplies, technology items, shipping supplies and our exclusive line of Platinum and Emerald ink and toner cartridges. Contact Yorktown Industries at www.yorktownindustries.com.